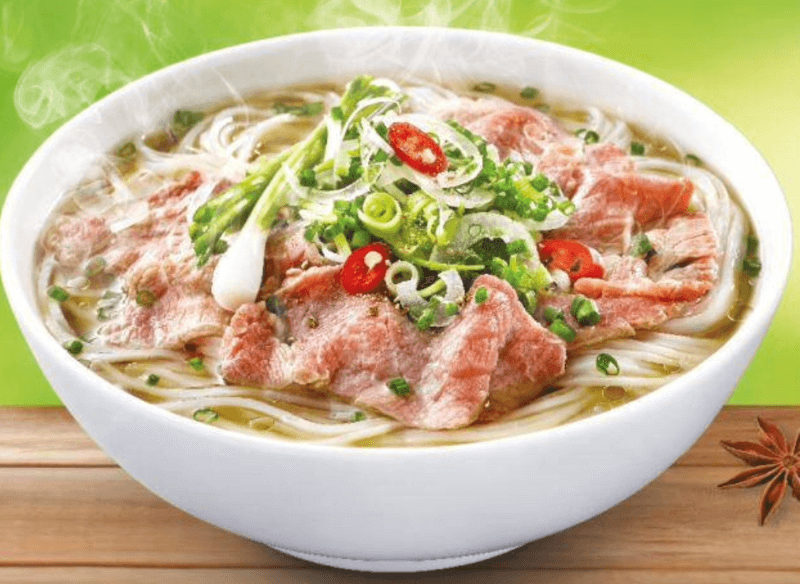 noodles in broth cooked elaborately with spices and many different herbs added. 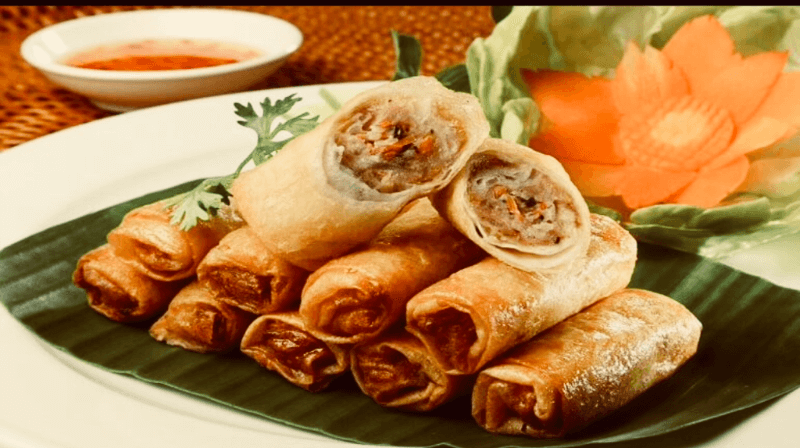 You will have the chance to make some other dishes such as Vietnamese steamed rice rolls, crispy spring rolls, and fresh salad. 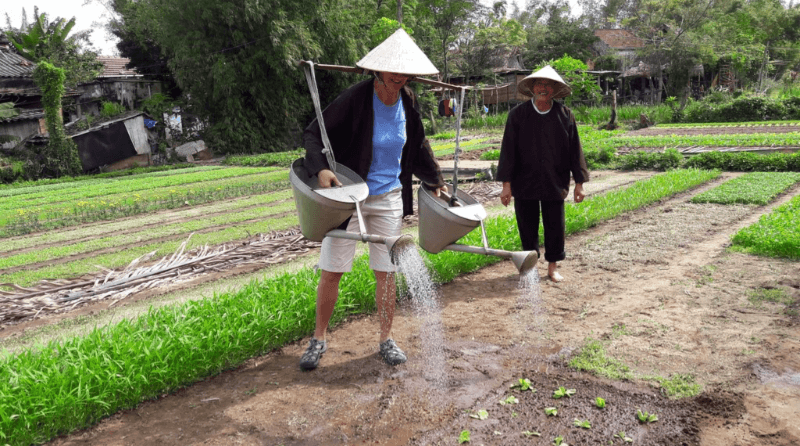 Visit a vegetable village where you will feel the green with a distinct aroma of local varieties of vegetables. 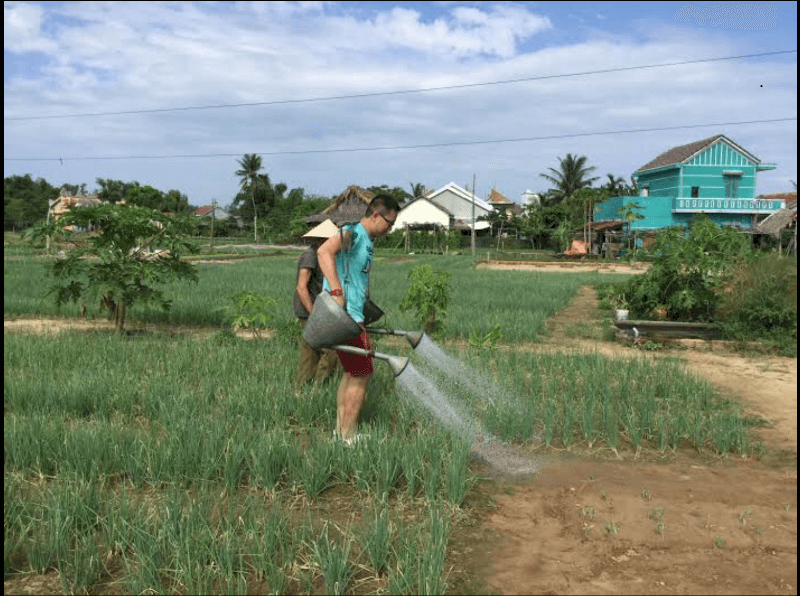 Undertake a farming experience at the organic garden with farmers, learning about different types of vegetables and herbs, methods of cultivation, fertilizers, irrigation here. 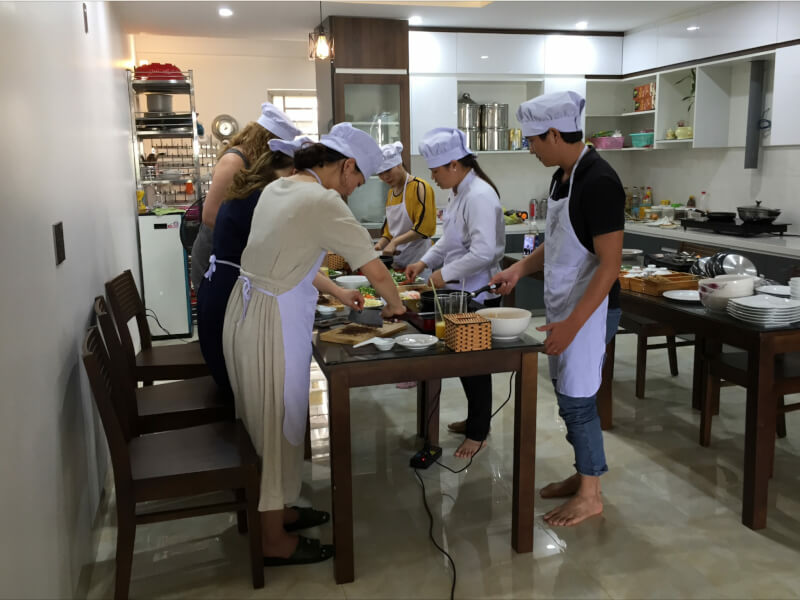 Drive along the scenic Han River back to the cooking class. 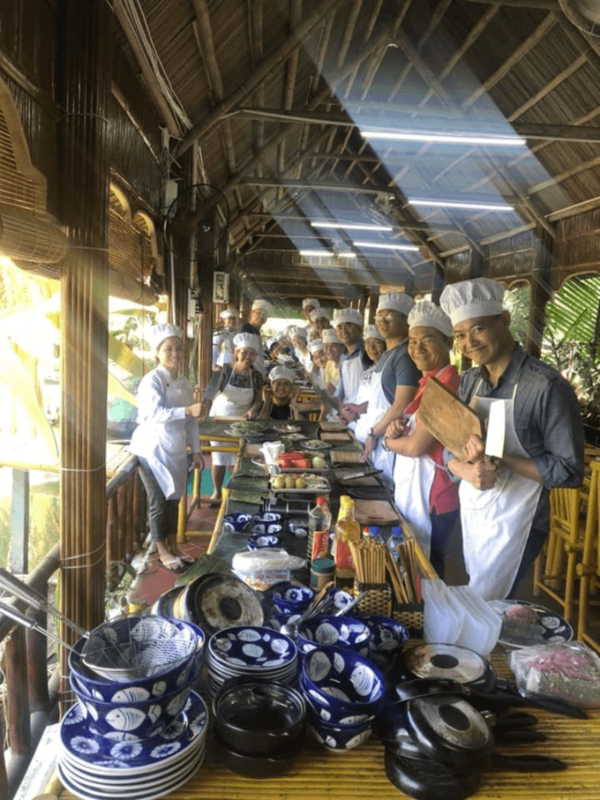 The chef will guide you in making the famous traditional Vietnamese dishes also share valuable information about Vietnamese culinary culture. 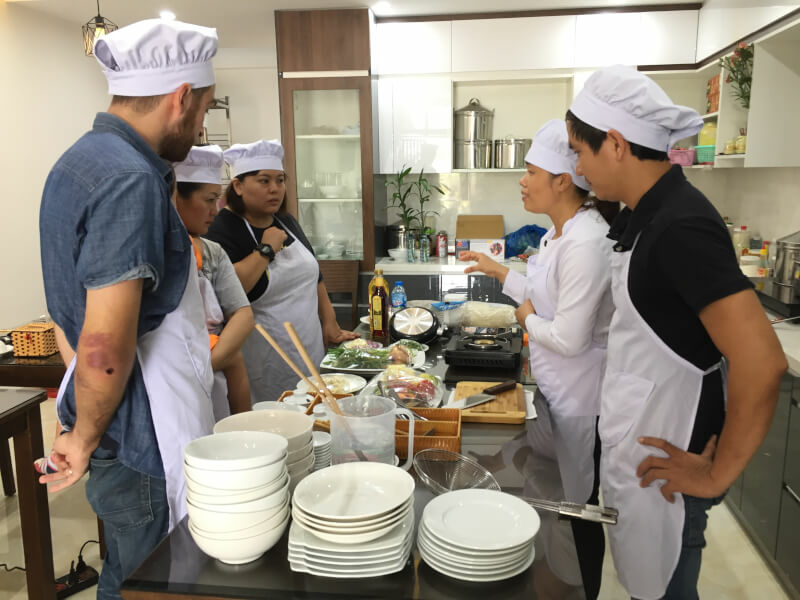 Learn how to cook Vietnamese food, such as Pho the beef noodle, Vietnamese steamed rice rolls, crispy spring rolls, and fresh papaya salad. Dessert is fresh seasonal fruit. 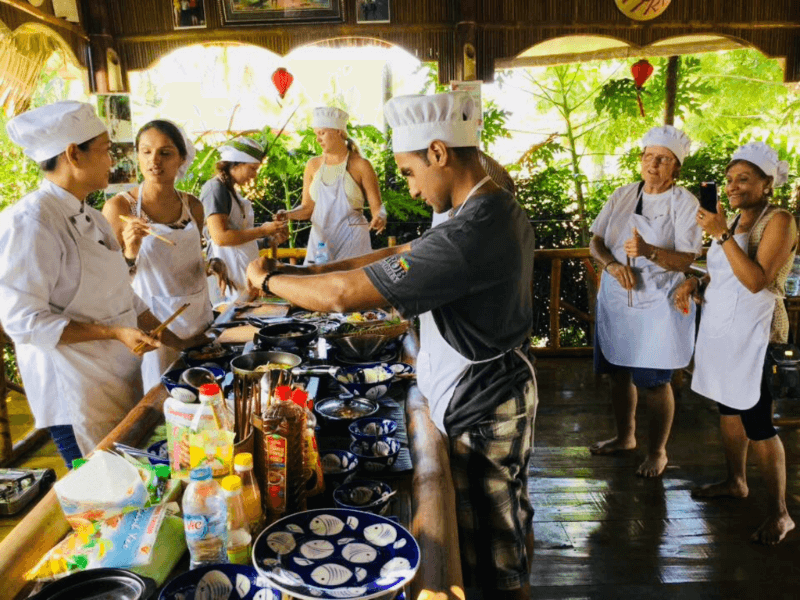 You get to prepare your own lunch or dinner. I'm Khuong. I was born in Hoi An where is famous area in Vietnam about culture, art and cuisine. 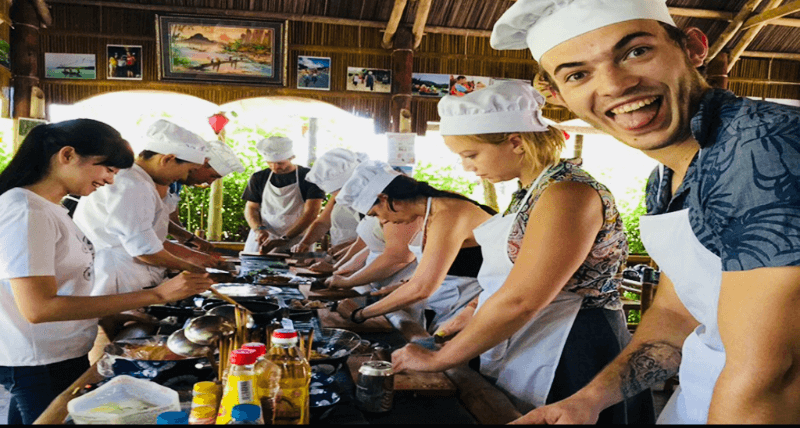 My passion is travelling and cooking that is a reason to become a tour guide. 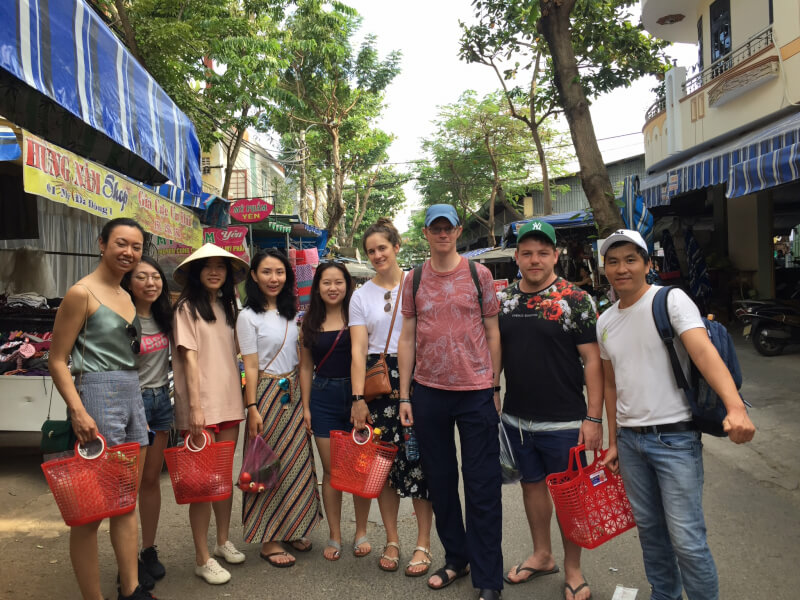 I has been a tour guide 10 years since in Hoi An and Danang after. My job is brought exeperice and knowlegde abour service and operating. Besides, my passion made me deeply explore to cuisine, farming and cooking. Time to meet many interested guest who is a encourge my spirit. 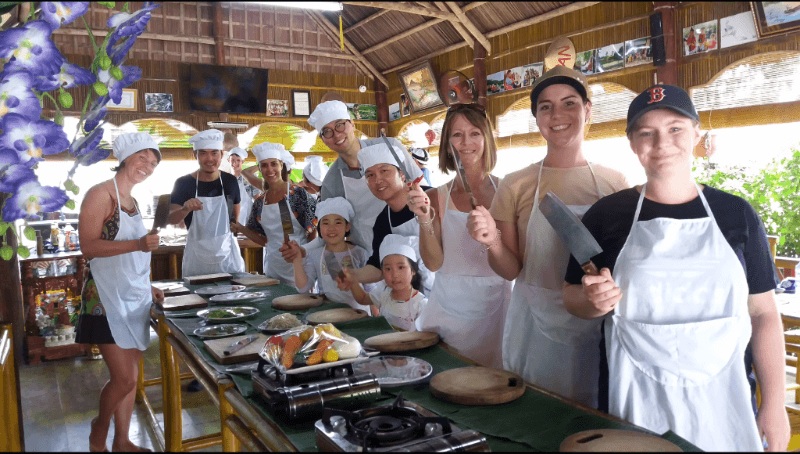 I'm co-founder of the Hoi An Eco Coconut tour and it has been activated 5 years since. I’m living in Danang. 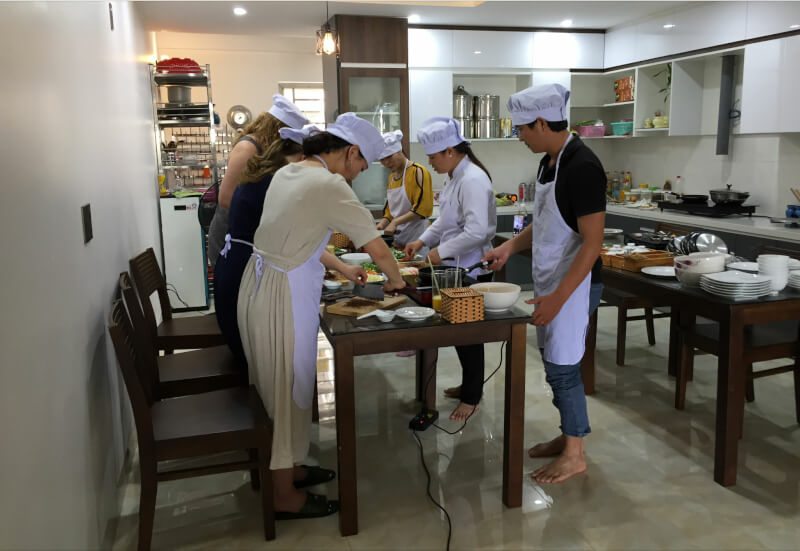 So, Danang Cooking tour is second product with Danang market tour, farming exeperice and cooking class. 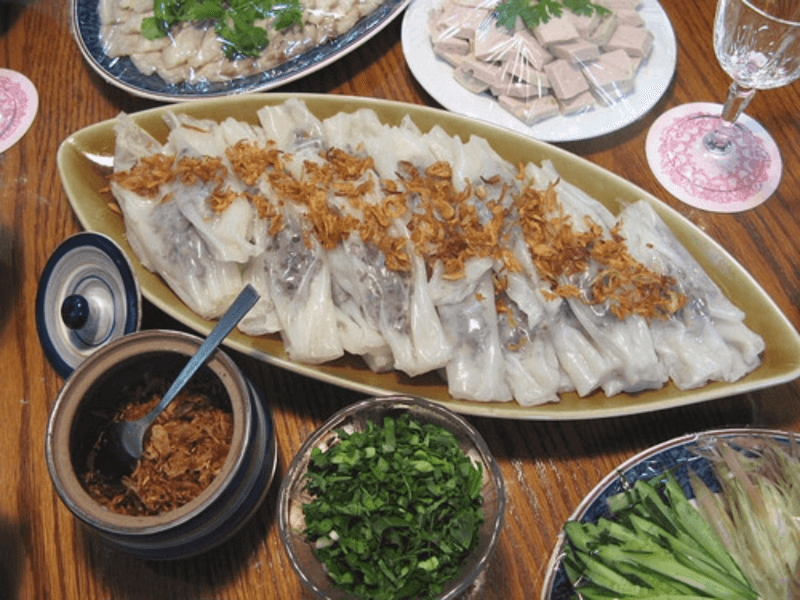 I hope that it will bring happy time, introduce Vietnam's cuisine, culture to foreign friends. 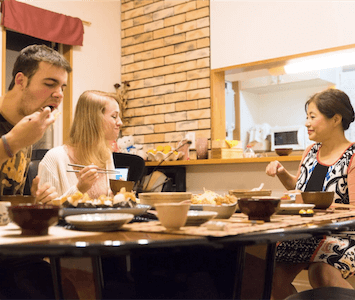 You will cook it for your family while you come back home, won’t it? Let’s explore tour together.